Move over doughnut wall there’s a new kid in town. Like bake-off on speedballs, sweet stations are headed next level. The refresh sees your wedding cake served alongside, bundts, jellies, brownies & blondies, bright meringues, éclairs, pies, mousses, fools, churros, canelés, madeleines, tarts, trifles, cookies & fruits for those who don’t care to indulge. 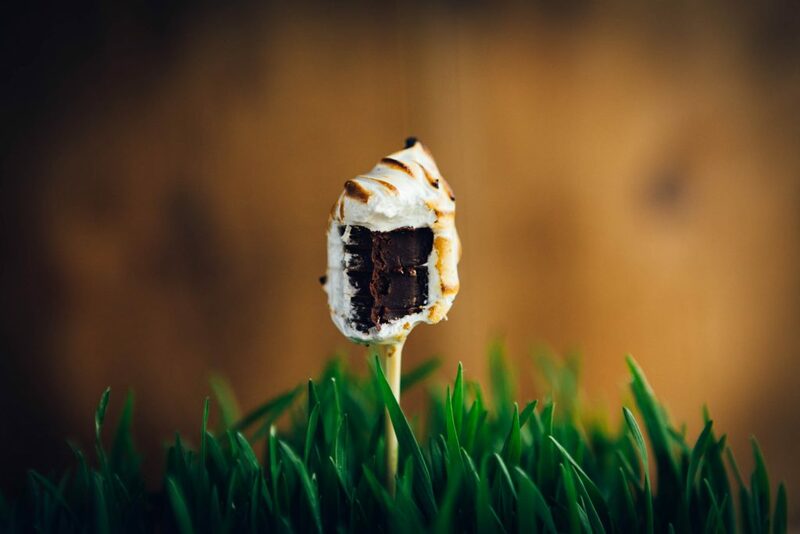 Create a sweet garden with toasted meringue s’mores pop “flowers” growing from the living grass. 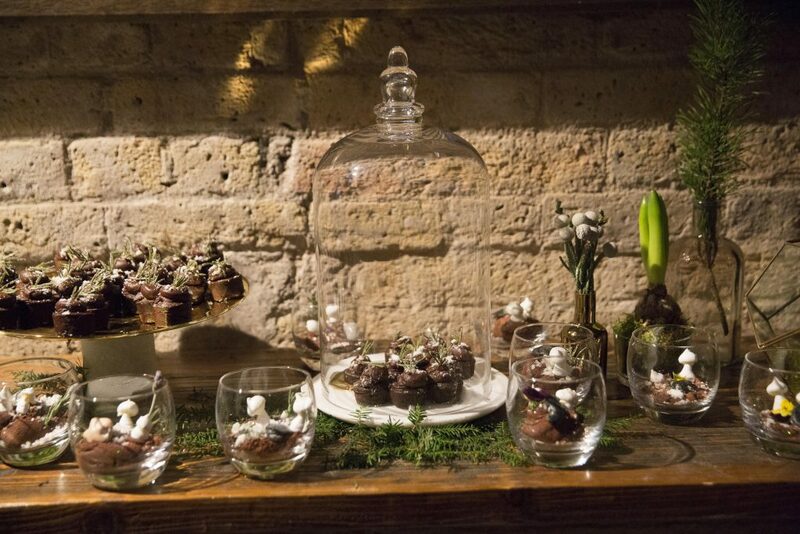 A strawberry shortcake station is a simple but striking summer delight or an edible terrarium (pictured here).